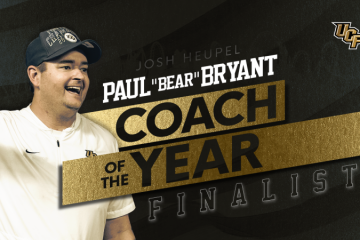 For a month leading into UCF’s long-awaited Chick-fil-A Peach Bowl matchup against No. 7 Auburn, various questions were thrown into the mix. 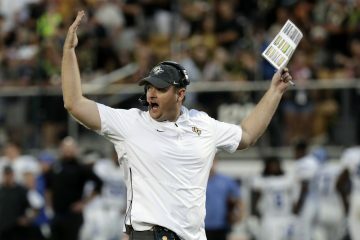 Could UCF handle Auburn’s front seven? Can the Knights keep up with the Tigers speed? 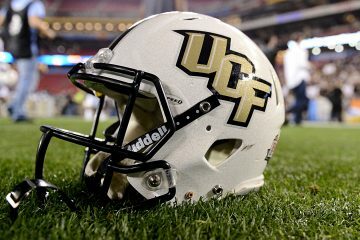 Will UCF be physical enough to stay in the game? All those questions were answered New Year’s Day at Mercedes-Benz Stadium; the Knights did so without even looking quite like their usual offensive selves. Despite a slow start by the offense, No. 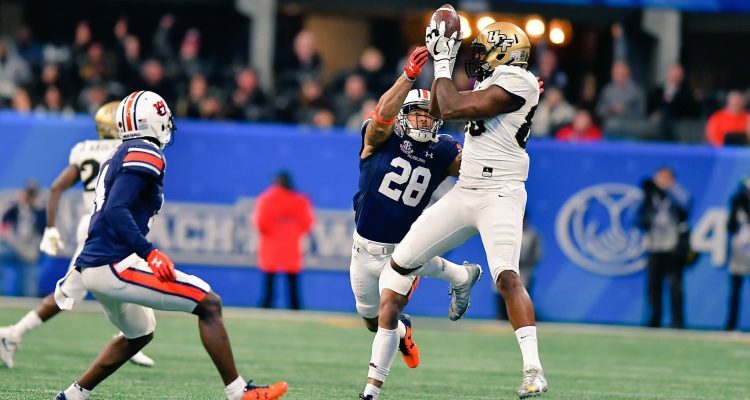 12 UCF (13-0) was able to flip the switch in the second half and score 21 points en route to a 34-27 victory over Auburn in Monday’s Peach Bowl. The game is the last for coach Scott Frost, as he’ll take over at Nebraska. Josh Heupel was named Frost’s replacement nearly a month ago. It was a shaky start to the Peach Bowl for UCF quarterback McKenzie Milton, who was named the game’s most outstanding player, as the signal caller missed on his first four passes of the game and missed several wide open targets throughout the opening half. A Milton fumble ended up resulting in the first points of the game for Auburn, with the Tigers (11-2) going 43 yards on nine plays and ending in a 43-yard field goal by Daniel Carlson. Milton (242 yards, 2 TDs) made up for some of his passing woes by creating with his legs in the first half, racking up 83 yards on just seven carries. His 3-of-17 mark in the first half was tough to swallow, but Milton gave UCF its first lead of the game in the second quarter when he scrambled 18 yards and found pay dirt. The Knights went up 10-3 with 8:51 left in the second quarter and later would exchange field goals with Auburn. After a Matthew Wright 45-yard field goal, Frost’s group went into intermission with a 13-6 advantage. Many wondered how UCF’s defense would be able to handle the physicality set by Southeastern Conference teams and the Knights answered the bell up front, holding SEC Offensive Player of the Year Kerryon Johnson to 63 yards on 15 carries in the first half and 71 for the game. The second half didn’t bode well from the get-go for UCF, with Auburn coming out of halftime with two touchdown drives. The Tigers first score was aided by a 72-yard kickoff return by Noah Igbinoghene and two plays later Jarrett Stidham would hit Will Hastings for a 26-yard touchdown pass. The second score of the third quarter was a clock-eating drive, which took Auburn 10 plays, 82 yards and culminating on a 5-yard scoring run by Johnson. For every score in this game, there was an answer from both teams and UCF had one of its own after falling behind 20-13. Despite struggling all game long, Milton began to find his groove in the latter half of the third quarter. Milton orchestrated a seven-play, 65-yard drive that ended with a 12-yard scoring pass to Otis Anderson. Stidham (331 yards) made two big mistakes late in the game, which one led immediately to points and the other ended the contest. The Baylor transfer was picked off by linebacker Chequan Burkett, who returned the turnover for a touchdown. That score put UCF up 34-20. Stidham’s second interception in the waning seconds sealed the Peach Bowl victory for the Knights.